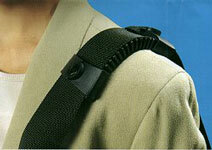 Eliminate back, shoulder strain and fatigue with our helpfil backsaving products. Shoulder straps, lumbar suport, wheels and furniture skates. Makes most anything mobile, instantly! The first universal wheel of its kind! No tool needed! Just peel, stick and roll! 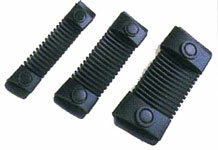 Use on entertainment centers, credenzas, bureaus, armoires, safes, display cases, large desks, bookcases, and more. 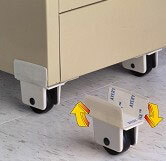 Slides on carpeting, wood floors, ceramic tiles & linoleum Slide even the heaviest furniture- effortlessly. For use in the home, office, workshop, anywhere! Designed to absorb the impact of floor surface changes Will not scratch, mar, or damage floors or carpets.